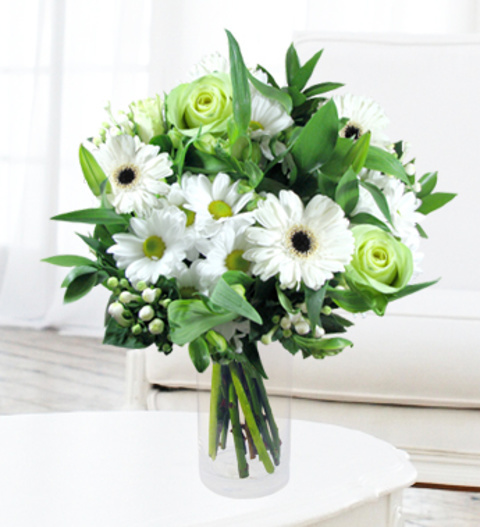 Snow white is a dexterous arrangement of daisies, seasonal roses, germini flowers and hypericum. Each bouquet is made with love by our team of talented florists. With FREE Belgian chocolates included, the arrangement is perfect for all occasions and is available for UK next day delivery.